The 2017 Queensland Gaelic Football Season starts on 4th of February with the Beach 7s! Competition is open to everybody, guys and girls, new players and experienced players all welcome! 10 players per mixed team. 7 players (4 x Ladies, 3 x Males) on the field and 3 interchange. 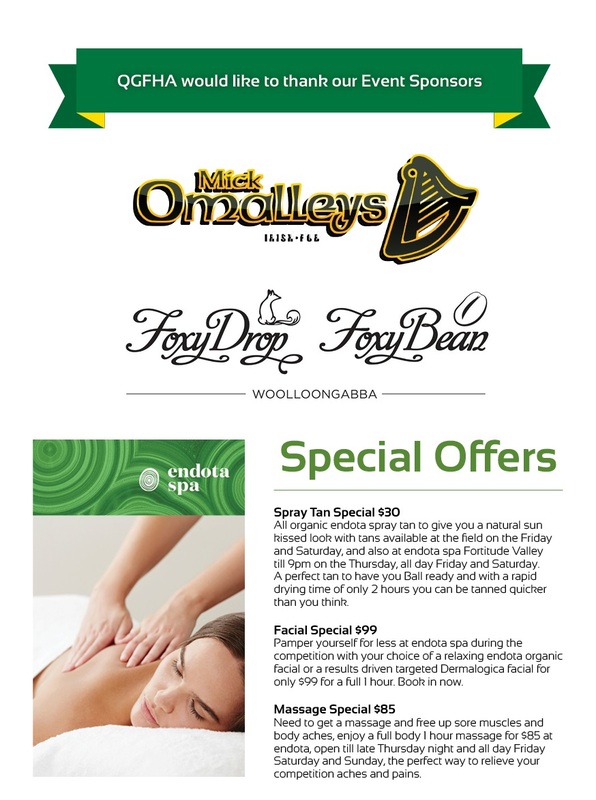 Trophy persentation & Live Irish Music in Fiddlers Green Irish Bar afterwards. Have you entered your team yet? 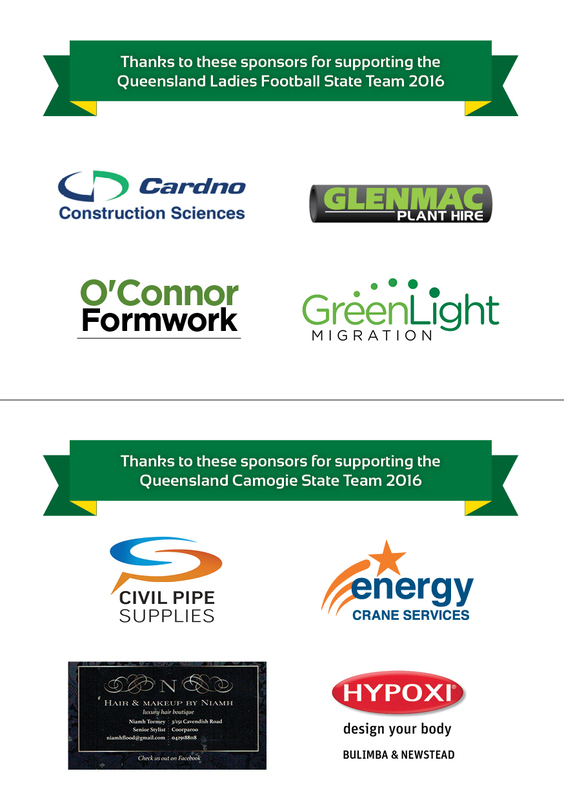 QGFHA wishes to thank all our sponsors who have contributed to the Australasia Gaelic Games in Brisbane 2016. 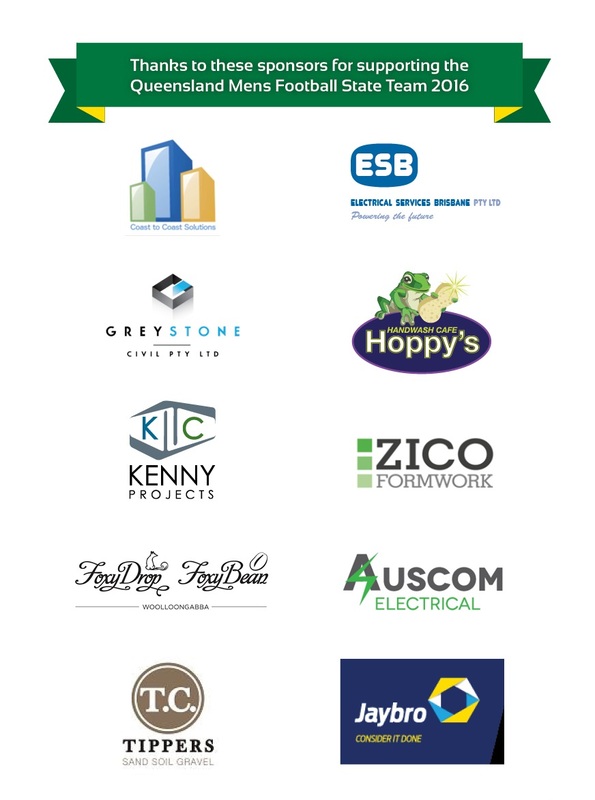 We simply could not run this event without your efforts and donations. 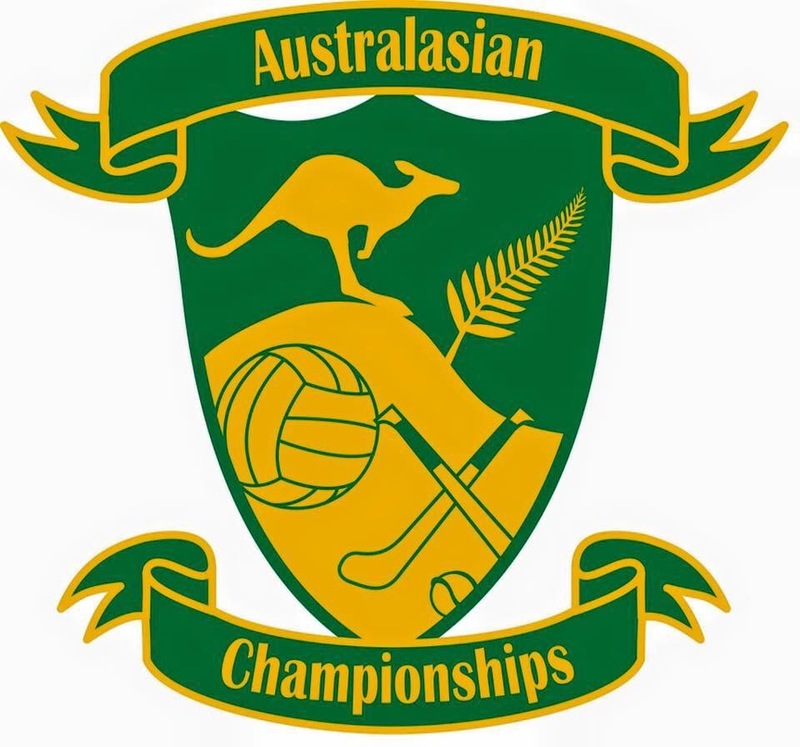 Fixtures have now been released for the 2016 Australasian Gaelic Games in Brisbane. Team Meeting, Family BBQ and Distribution of Gear after last training session. Tournament Dinner & National Selection Announcements. Tournament Details: Tournament Information will be released on Sunday 16th September. Queensland Gaelic Football and Hurling Association are determined to provide opportunities for young men and women to play Ireland’s national game here in Queensland. We are hoping that this will be the first step of developing and strengthening an underage structure that will see us compete at National Championships for years to come. Your son can assist us in developing a new generation of young players, playing a game that you will all come to love. We appreciate that this is a very busy time for students at school, and also acknowledge that many families may have prepared holidays for September. Whilst it is not ideal to have left our notification till this stage, we are willing to work with families to ensure the participation of their son/s. I would encourage you to discuss any queries or concerns that you might have about the above arrangements. 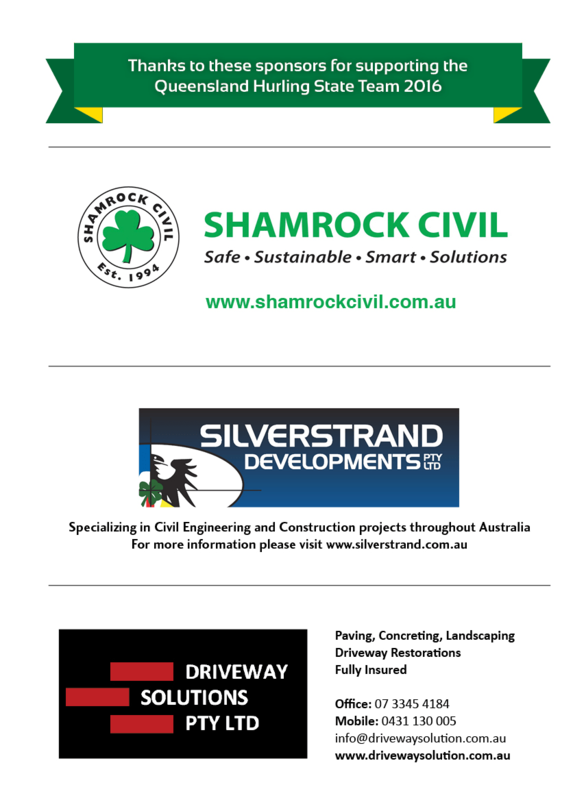 Please email one of the team above to indicate your interest and intention to attend a training/trial date.